This really is the best vanilla cupcake recipe we’ve tried (and we’ve tried a lot). 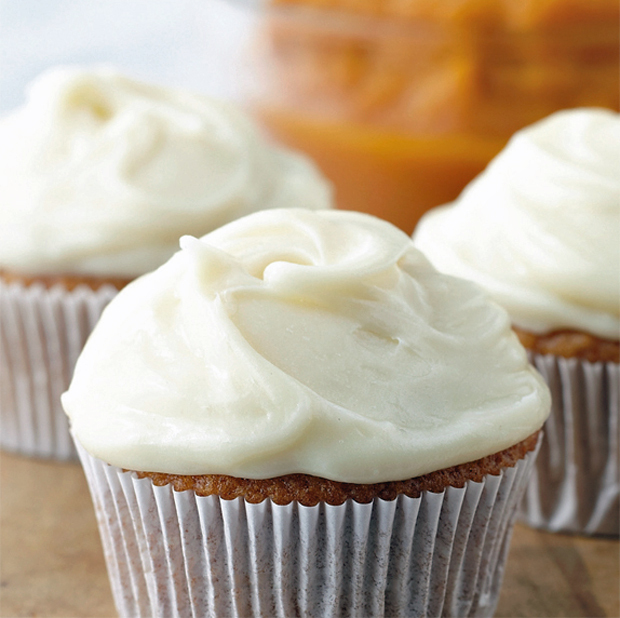 The cupcake has a lovely, moist crumb that tastes just as good the next day, and the vanilla buttercream recipe is really easy to make and is fluffy and packed with vanilla flavour. 1. Preheat oven to 175C. Line two 12-cup muffin tins with cupcake papers. Go and find some cute ones! 2. In a big bowl, combine the flours. Set aside. In a large bowl, on the medium speed of an electric mixer, cream the butter until smooth. Add the sugar gradually and beat until fluffy, about 3 minutes. Add the eggs, one at a time, beating well after each addition. Add the dry ingredients in three parts, alternating with the milk and vanilla. With each addition, beat until the ingredients are just incorporated but do not overbeat. 3. Carefully spoon the batter into the cupcake liners, filling them about three-quarters full. 4. 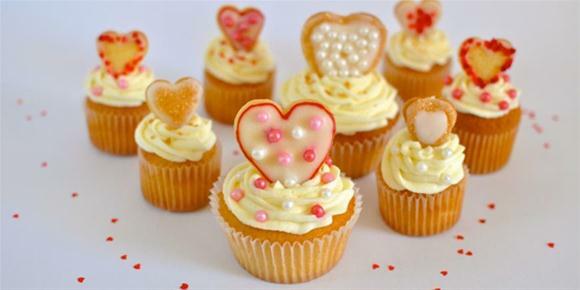 Bake for 20–25 minutes, or until a cake tester inserted in the centre of the cupcake comes out clean. Cool the cupcakes in the tins then on a rack. When cool top with the vanilla buttercream icing. 1. Place the butter in a large mixing bowl. Add 2 cups of the sugar and then the milk and vanilla. On the medium speed of an electric mixer, beat until smooth and creamy, about 3-5 minutes. Gradually add the remaining sugar, beating well after each addition (about 2 minutes), until the icing is lovely and thick.